Before going out for the recession, on July 7, 2017, the Parliament approved two proclamations that were designed to reform the entire coffee market value chain. The two proclamations are Coffee Quality Control & Marketing and Establishment Proclamation of Ethiopian Commodity Exchange (ECX). Both amended proclamations are meant to improve the coffee market from farms to its export destinations. "The amendment of the two proclamations came as one action taken to narrow the trade deficit," said Prime Minister Hailemariam Desalegn while addressing the parliamentarians on July 7, 2017. Reforming the value chain came after research findings and discussions held between the government and stakeholders in the coffee market. One of the studies was the assessment that was made by the National Export Coordination Committee, which identified 11 major bottlenecks in the coffee market and its value chain. One of the major findings of the committee was an extended value chain, widespread illegal trading along with fewer incentives for the coffee growers and exporters and financial constraints. The committee also suggested solutions including reforming the supply chain. The next step was amending the proclamation that was issued eight years ago. The Ethiopian Coffee & Tea Development & Marketing Authority drafted the proclamation since the beginning of September and finalised the amendment two months ago after having three discussions with the stakeholders. The Authority then sent the bill to the Ministry of Agriculture & Natural Resources (MoANR) and the Office of the Attorney General for review before it was sent to the Council of Ministers. The Council of Ministers endorsed it to the Parliament on June 5, 2017. Since the announcement of the reform in April, coffee export earnings in the country showed a 20pc growth, according to Hailemariam. The reform will ensure the traceability of coffee and cut the cost and time spent in the market by half, according to the attached document with the proclamation. 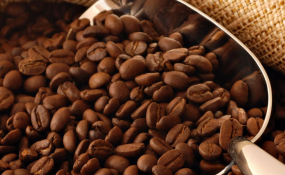 It is claimed by coffee exporters that coffee has been deliberately and un-deliberately mixed at the warehouses of ECX, being a concern on the traceability of the coffee beans. Now, the coffee grower can sell their coffee before reaching the floor of ECX within three days; it will also enable coffee processing companies to get export standard coffee as an input. The previous proclamation prohibits buying or selling coffee outside ECX or a transaction centre established by the Ministry of Trade (MoT) or the appropriate regional body. "This reform is one of the big policy changes of the country," said Tadesse Haile, state minister for Exports and Investment in the Economic Section at the Prime Minister's Office. Ethiopia is the largest producer of coffee in sub-Saharan Africa and is the fifth largest coffee producing country in the world. During the 2015/16 fiscal year, coffee generated 722.4 million dollars and accounted for 33pc of total export earnings. Although it is the highest foreign currency earner, coffee proceeds have fallen by three percent annually since 2010/11. This is despite the fact that the volume of exported coffee has been growing at an annual average growth rate of eight percent over the past five years. "The market was highly affected by illegal traders and an extended value chain," said a coffee grower who used to own a coffee processing plant, but closed it three years ago due to illegal and contraband coffee trade. The new proclamation states that anyone who transacts coffee out of the stated law will be fined from 10,000 to 100,000 Br in addition to imprisonment. "As we already drafted a regulation and directives for the proclamation to be intact, we will apply the new reform at the beginning of the current new fiscal year," said Heiru Nuru, head of the director general office of the Authority. The Authority drafted five directives and a regulation. The regulation was sent to the Council of Ministers and was awaiting the approval of the proclamation. "We have already started seeing the effect of the reform as we are sealing deals with new customers since the announcement of the amendment," Heiru told Fortune. The amendment also gets a warm welcome from those involved in the coffee market. "Although it came after several damages, it is big news for us," said the coffee grower mentioning the closure of his coffee processing plant as a result of widespread illegal coffee trade. The new proclamation has reduced the role of ECX in trading coffee, as it can be sold out during consignment within three days and at a processing plant. But the contract of the purchase would be done at ECX. One of the amended points in the ECX proclamation is the contractual agreement for the coffee transaction. The contractual agreement was made to include the origin of the coffee. "This will ensure the credibility of ECX by enabling it to trade a traceable commodity," said Ermias Eshetu, CEO of ECX. The amended ECX proclamation also includes a 'bonded yard', a fenced yard designated for parking trucks loaded with the commodity to be traded in the exchange until the consignment is sold on a truck and picked up by the buyer within the maximum pickup period or deposited to the warehouse. Read the original article on Addis Fortune. Copyright © 2017 Addis Fortune. All rights reserved. Distributed by AllAfrica Global Media (allAfrica.com). To contact the copyright holder directly for corrections — or for permission to republish or make other authorized use of this material, click here. Ethiopia: Ethiopia: Africa's Next Powerhouse?